Note: This is the original Product not a copy cat and there are alot of those on the market now. Moisture content is the single most important factor affecting the way your hair looks, feels, and performs. Curly hair can't frizz. Straight hair can't go flat. Any climate. All year round. Blocks out external moisture that causes frizz by providing a 100% seal on the hair shaft. Shampoo-soluble product. Keeps hair soft, shiny and silky. Protects hair completely from hot blowers and ceramic irons and cuts styling time. 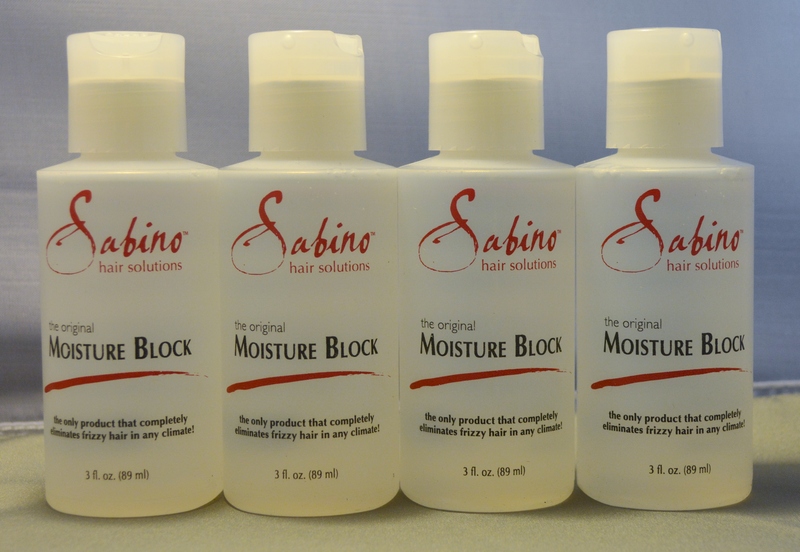 Moisture Block by Sabino helps you control moisture, the single largest factor in how your hair performs. The amount of moisture in your hair can either be your best friend or your worst enemy. Moisture Block by Sabino locks-in the perfect 10% to 11% moisture content that keeps hair strong and healthy. Humidity will no longer effect your hairstyle. Keeps hair soft, shiny and silky from shampoo to shampoo. Protects hair completely from hot blowers and ceramic irons Cuts styling time in half. Does not weigh hair down. Use year round and protect against breakage, split ends and damage due to neglect, natural wear and chemical services. 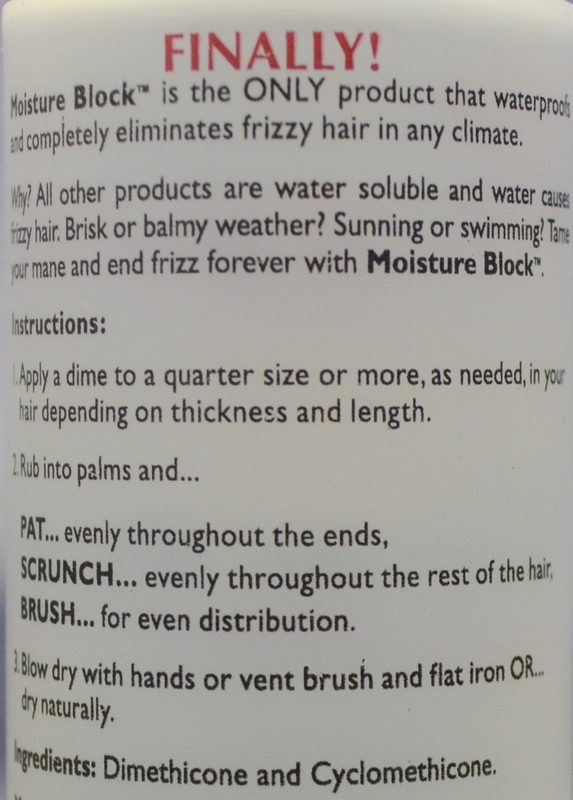 Not even chlorine can penetrate Moisture Block - Swimmers you can now protect your hair! DIRECTIONS: Shampoo, condition, then waterproof your hair.